Hoboken’s one of those city’s that doesn’t get as much merit as it deserves for its entertainment scene. Sure, New York City is just over the river, but that doesn’t mean that the bar scene in Hoboken isn’t one of the best that the northeast has to offer. 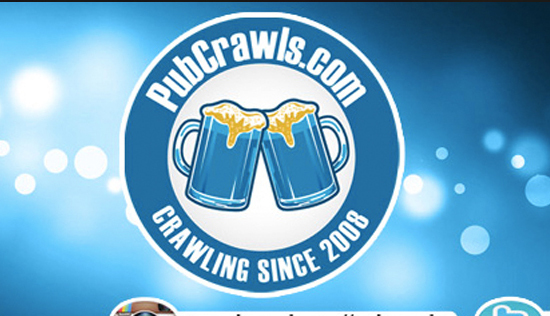 The organizers behind the biggest Pub Crawl known to man, PubCrawls.com, have decided to bring back of the most festive themed events of the year – the Hoboken Ugly Sweater Crawl! Picture hundreds of party-goers running wild through the streets of Hoboken and having access to some of the best bars in the area – that’s exactly what you’ll get with this great event. With 6 years running, Hoboken has proven to be hotbed of outgoing residents who love to get together to any occasion – especially the holiday season! It’s that time of the year. Look deep into your closet and pick out those clothes that’ll keep you warm no matter how cold it is outside. We all have that one ugly sweater in the closet that we dread wearing. But guess what!? This is the perfect time. 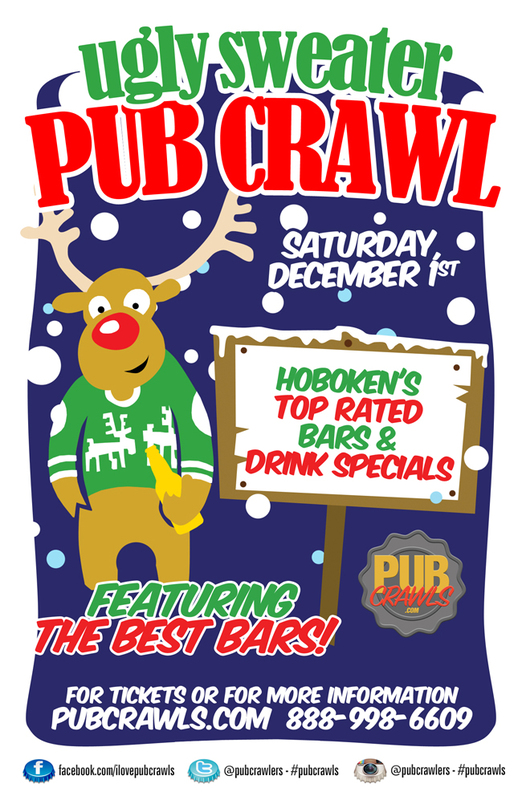 Hoboken’s 6th annual Ugly Sweater pub crawl is the time of the year when all Hobokener’s can take out that ugly sweater and make fun of each other. Don’t miss your chance to dress silly and enjoy great drink specials at some of Hoboken’s top-rated venues. Get your tickets for this Ugly Sweater crawl event soon because this is one of the most anticipated events of the winter! At registration (check-in), our event staff will distribute wristbands and maps for the event. Scour the city’s best venues and partake in holiday cheer with the entire Hoboken community.